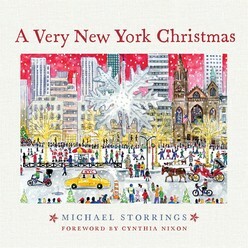 In 2007 the first edition of Michael Storrings's A Very New York Christmas captured the hearts of New York residents and non-residents alike. Portraying famous traditions like the Macy's Thanksgiving Day Parade, the lighting of the Christmas tree at Rockefeller Center, and the Metropolitan Museum of Art's Angel Tree, as well as less well-known ones like the Christmas lights in Brooklyn's Dyker Heights, the Boys Choir of Harlem, and the Holiday Train show at The New York Botanical Garden, Storrings's unique and whimsical watercolours illustrate the magic of Manhattan and the four outer boroughs during the holiday season. Now, this brand-new edition includes four pages of full-colour removable ornaments you can hang anywhere you like to get into the Christmas spirit. Since 2003, Storrings's watercolours have been turned into bestselling ornaments that have a worldwide fan base and sell out in stores such as Saks, Bloomingdale's, and Bergdorf Goodman. 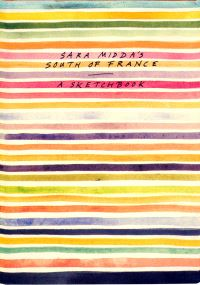 Including a delightful foreword from actor Cynthia Nixon, this jewel-like book combines festive quotations from literature and popular culture with Storrings's charming watercolours of forty cherished New York holiday scenes, making this a perfect gift and yuletide keepsake.